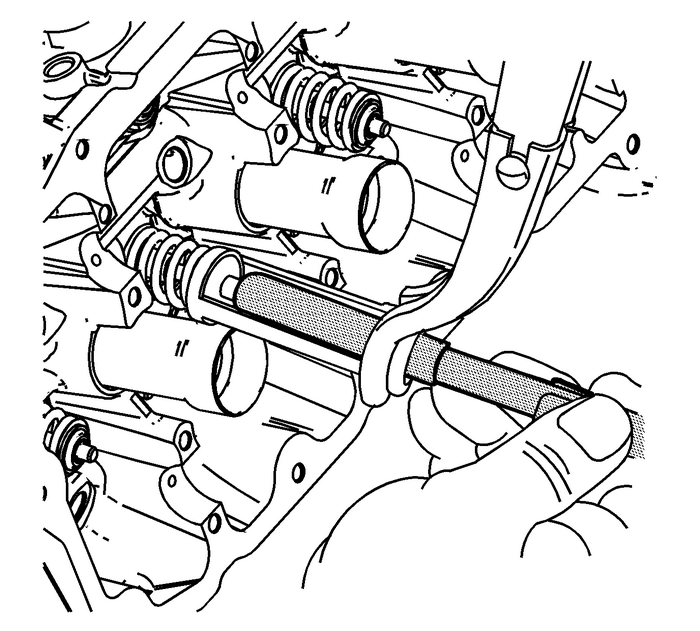 Remove the fuel rail bolts-(1). 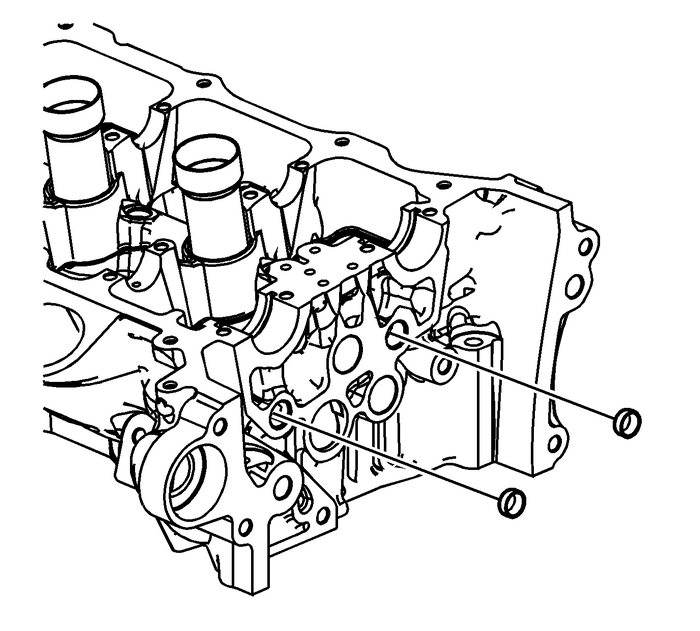 Remove the fuel rail and injectors-(1) as anassembly using theEN 49248remover. 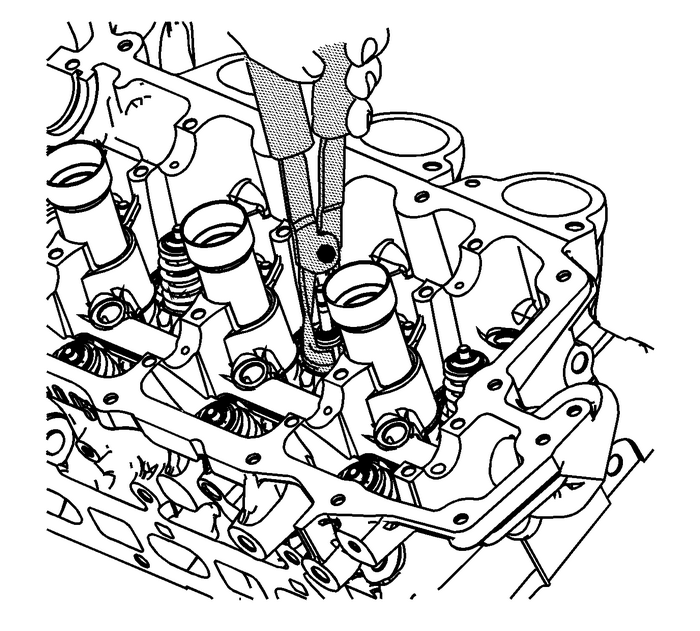 Note:Ensure valve heads will not contact anything during thefollowing step in order to avoid bending or damage. Using an appropriately sized deep socket and a plastichammer, lightly tap on the valve spring retainer to loosen thevalve keepers. 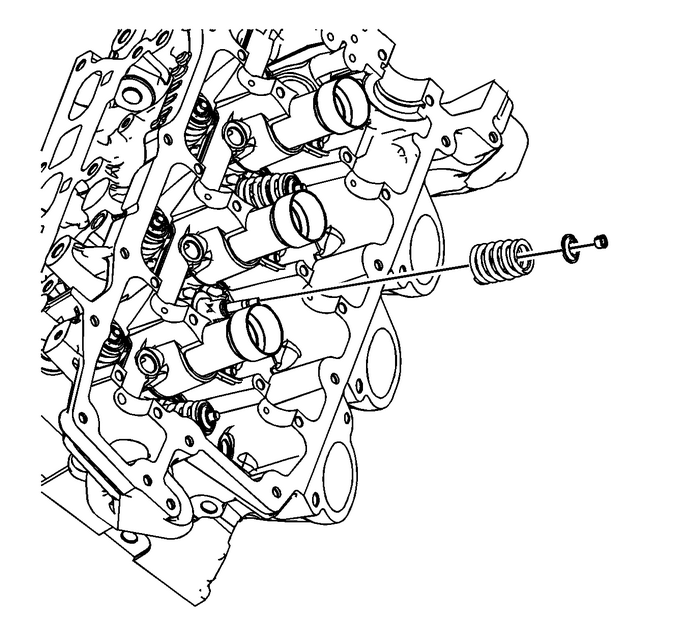 Compress the valve spring using theEN 8062compressorand theEN 46119adapter. 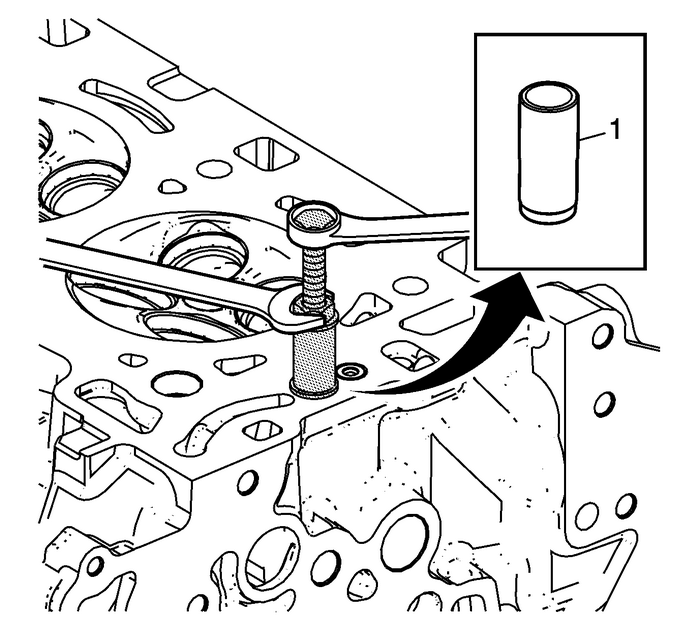 Use the magnet of theEN 46117remover/installerin order to remove the valve keepers.Remove the valve spring compressor and the adapter. 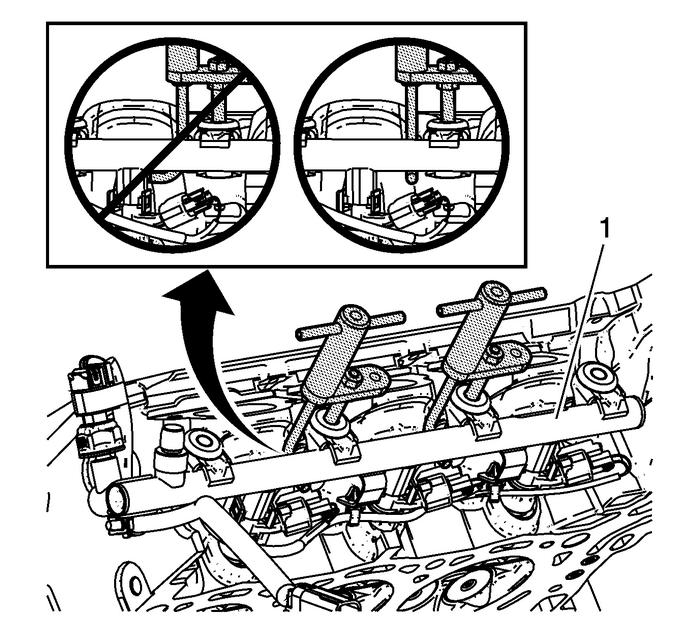 Remove the valve spring retainer.Remove the valve spring. 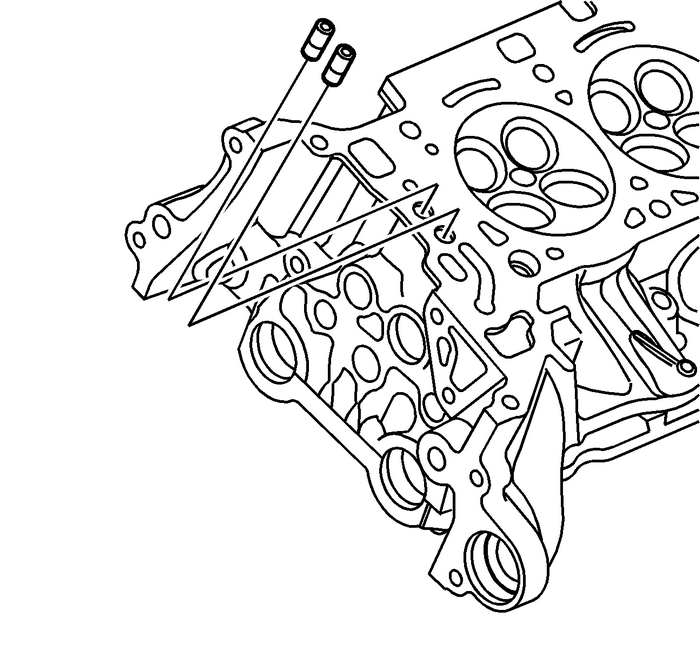 Note:NEVER reuse a valve stem oil seal. 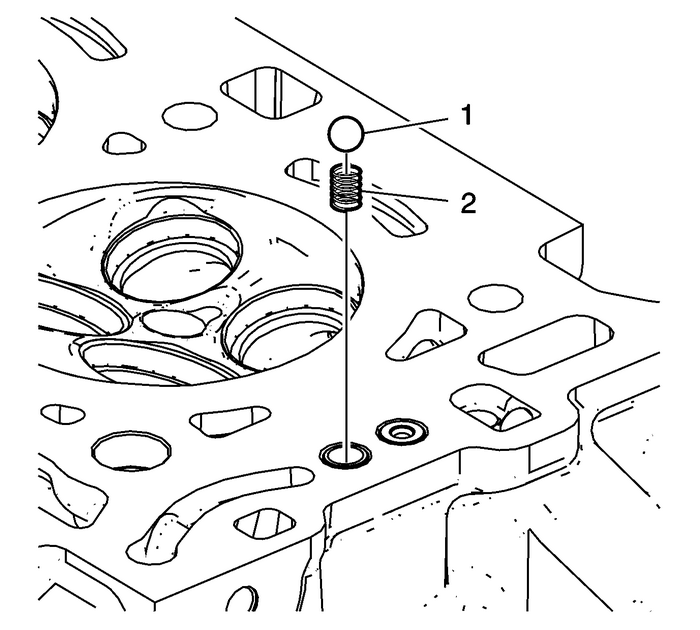 Remove the valve stem oil seal using theEN 46116remover/installerand discard.Repeat these procedures for the remaining valves. 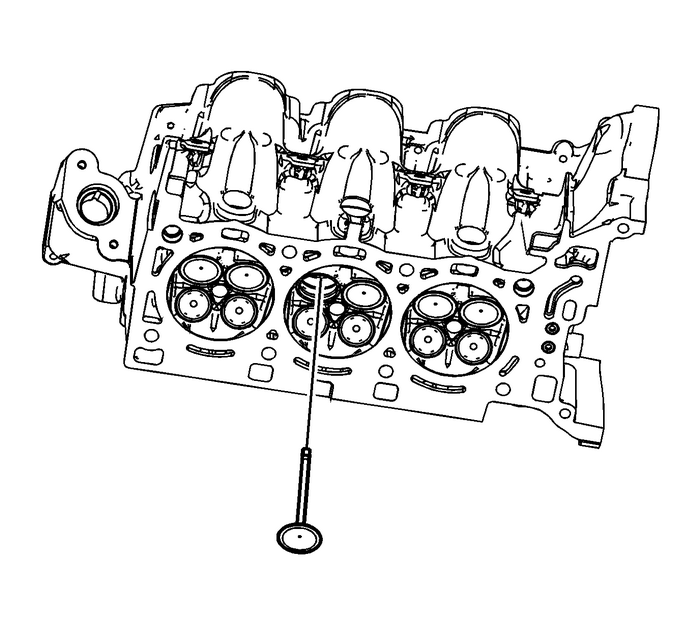 Remove the cylinder head oil gallery expansion plugs. 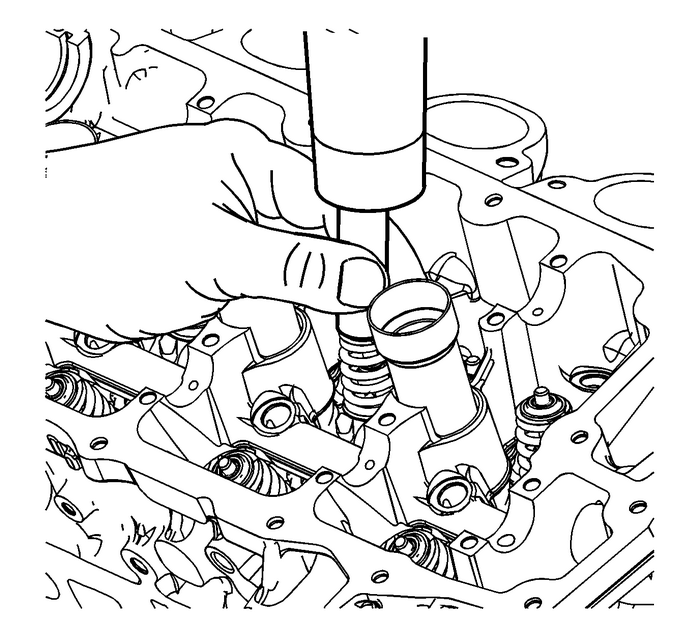 Remove the cylinder head coolant threaded plugs. 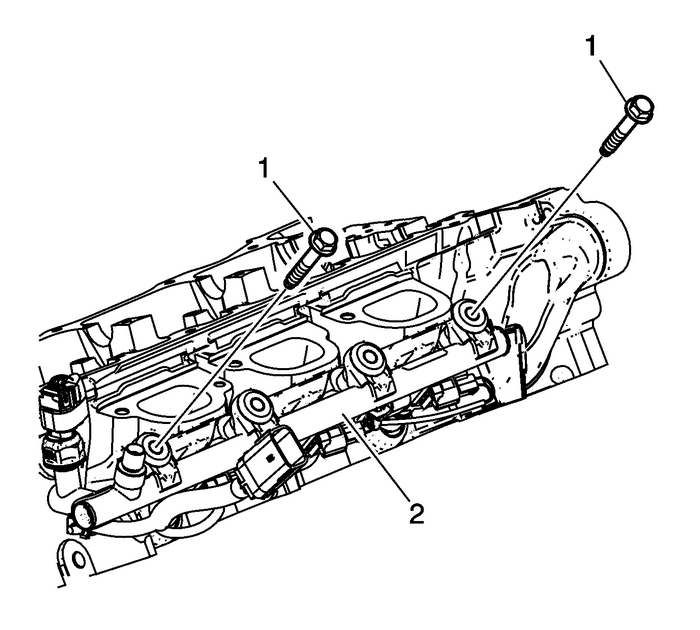 Inspect the camshaft position actuator oil feed check valves.Damaged, restricted or clogged check valves must be replaced. 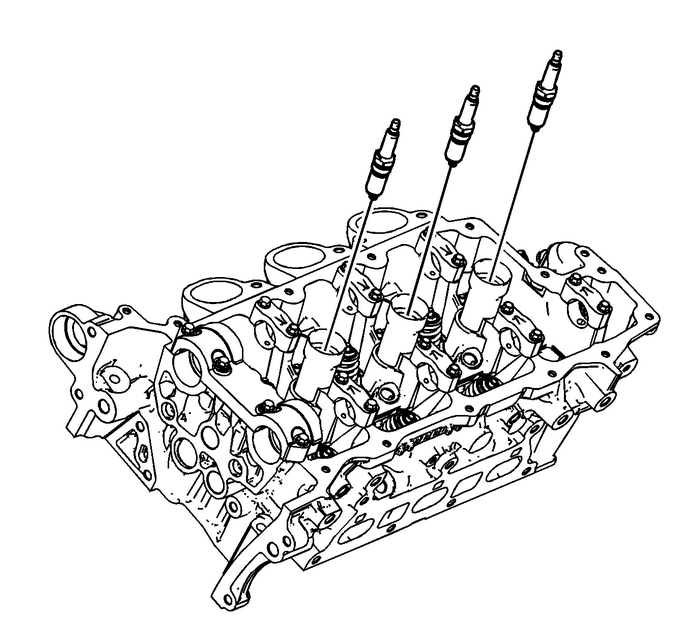 Ifcheck valves are OK, disregard remaining steps which detailreplacing the check valves. 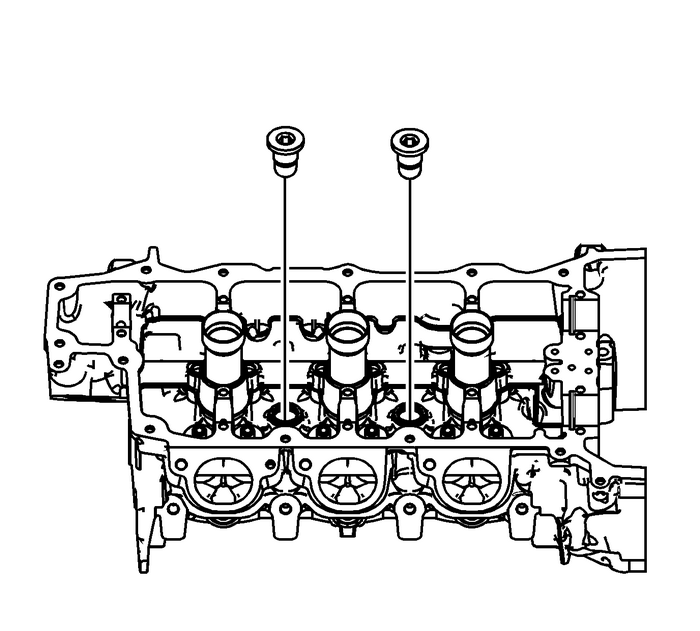 Place cylinder head on firm surface with checkvalves-(1) facing up. 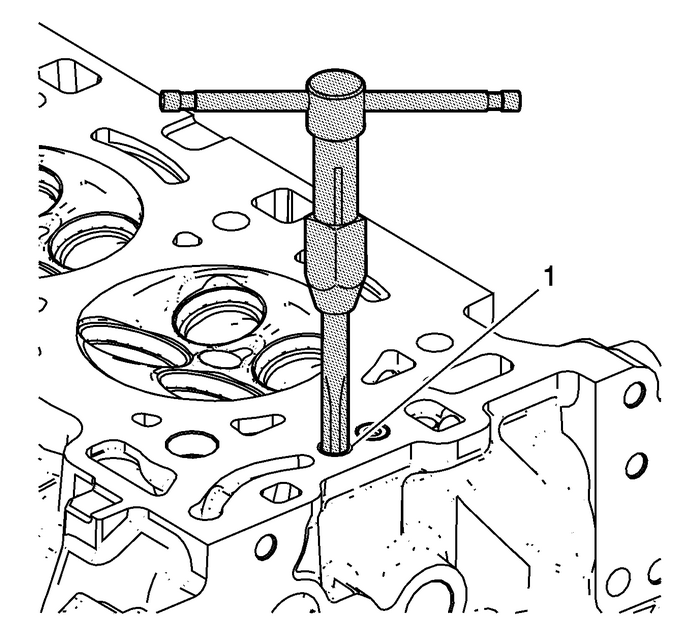 Protect all cylinder headcomponents and machined surfaces.Using drill bit EN-46122-3, drill out top portion of checkvalve to expose internal check ball. Remove check ball-(1) and check ballspring-(2) from inside of check valve. Continue drilling remainder of check valve sleeve to a depthof approximately 19-mm(0.75-in)-(a) by placing tape on drill bit asa depth gauge. It is not necessary or desirable to drill completelythrough the bottom of the check valve. Lubricate tap EN-46122-4 with lubricant included inEN-46122remover/installer. 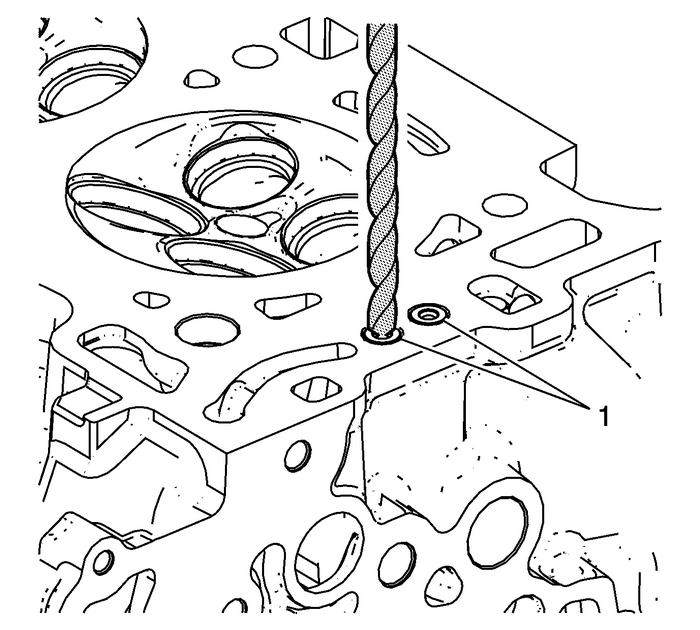 Tap drilled out portion of check valve-(1)remaining in cylinder head. Tap to full depth possible until tapbottoms out in head. 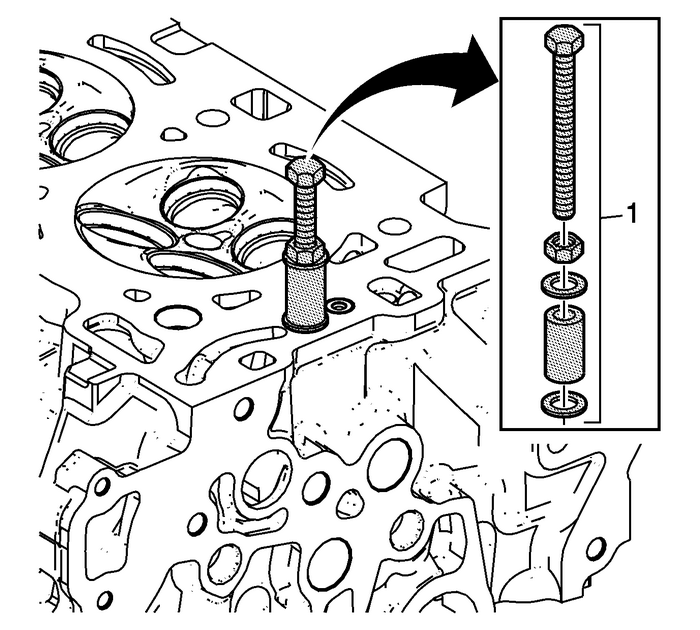 Assemble bolt, nut, washers, and collarEN-46122-2-(1) as shown. 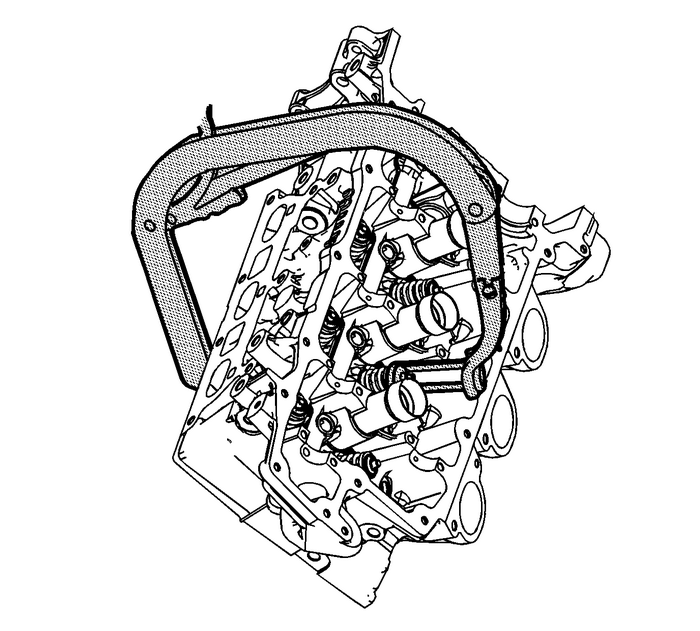 Position collar withslightly-larger inside diameter DOWN toward the cylinderhead.Screw bolt by hand fully down into threaded check valvesleeve, then lightly tighten nut against washer. 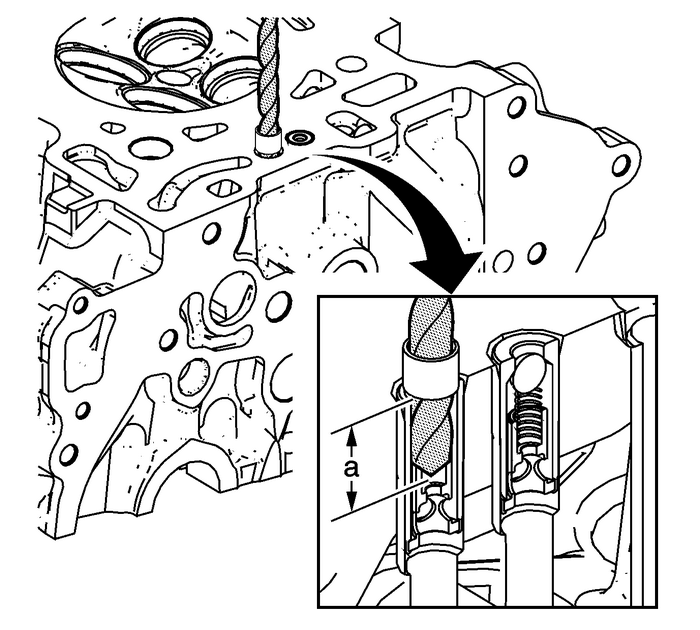 Hold bolt with one wrench, and use another to tighten the nutuntil the check valve sleeve-(1) is removed from thecylinder head.Clean check valve bore and related passages thoroughly toremove any drilling chips or other debris.